EBU cruiser champ Mateusz Masternak (pictured) make a voluntary defence of the title against Russian Grigory Drozd October 5 in Moscow. Earlier in the week the EBU postponed the purse bids for Masternak´s mandatory defence against Jeremy Ouanna as there was a request for a voluntary defence - which was granted. 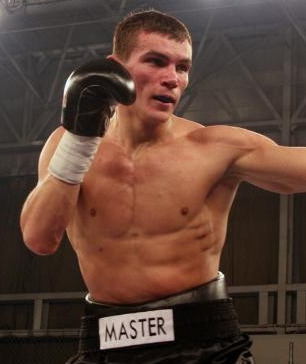 There was also strong rumors of that Masternak would defend the title against Youri Katenga September 7 in Frederikshavn but now it´s against Grozd on the Klitschko vs Povetkin bill. Mohamed Ali Ndiaye and Christophe Rebrasse clash again for the vacant EBU supermiddle title October 26 iwith OPI 2000 promoting. Site is to be announced. EBU superfeather ruler Devis Boschiero defends the title against Guillaume Frenois September 28. Site is to be announced with OPI 2000 promoting. With Kubrat Pulev, reigning EBU heavyweight champion, facing Tony Thompson in a final IBF eliminator August 24 the purse bids for Pulev´s mandatory defence against Dereck Chisora is postponed from August 20 to August 27. Chisora is booked to fight an opponent to be announced September 21 and Frank Warren Promotions nursed hope for a EBU title fight for Chisora on that show but don´t seem likely. Pulev is still a long way from getting a shot at the IBF title so keeping the EBU belt seem like a possible option. Valery Yanchy and Andrea Sarritzu will clash for the vacant EBU flyweight title in the first half of September in Sardegna. The fight is promoted by Promosport Sardegna headed by Antonio Puddu. Zamora retained the EU lightweight title. Solis picked apart Saglam, who got nailed every time he punched and was hurt in the first. Saglam then discovered that if he didn´t punch neither would Solis, never in top shape but a sharp counterpuncher and referee Jean Pierre van Imschoot had to tell them three times that he wanted a fight. Saglam was also threatend with points deductions. Odlanier finally upped the pace and knocked out Saglam with right handers to the head. A right hook to the head of Balmaceda seemed to make him lose his balance and he was floored three times before it was stopped. Angulo, trained in Germany Steven Kuechler, looks promising. The vacant IBF Latino title was at stake. Mendoza won the vacant IBF I/C title on scores 117-111 twice and 114-111. Mendoza dominated the action and floored Herrera in the second. Herrera finally scored in the fourth and Mendoza went down and was almost out but impressed in fighting off the ropes. He was stunned later in the round again but survived. Sena connected again in the sixth and Mendoza looked gone - but showed heart and skills in fighting back. Sena was then outboxed and worn down by Mendoza´s bodypunches and seemed close to getting stopped in the last round. Aydin wore down his quickhanded opponent and showed a good workrate while trainer Robert Rolle and others screamed instructions in English, Turkish and German. Herrera finally went down in the eighth and was counted out standing. Arik worked the body hard and while not scoring cleanly the amount of punches was too much for Siala, who caved in during the third, went down three times and referee Mike Wissenbach counted ten and out as Siala walked towards his corner. Solmay took a pounding from the start and was floored in the first after a bodyshot and retired by his cornerman after a second knockdown in the second. Rupcic came in as a very late sub for Prince Anthony Ikeji. Licina was superior in every way but a bit sloppy while Rupcic was tougher than expected. Licina was cut twice in the face and walked into some punches as he tried to get Rupcic out of there. It was scored 60-49, 60-50 and 60-53. Rupcic was down in the second, fourth and twice in the sixth and had a point deducted in the third for talking to his opponent. It was scheduled for eight but no-one had told Rupcic and he refused to continue after the sixth and was decided by mutual consent to end it there. Hardfought all the way with Feigenbutz showing talent but also a lot of incorrect punches and he couldn´t hurt Mkrtschjan, who took too long to get untracked. It was scored 59-55, 58-57 and 58-58. Gevor, a southpaw, took out K with a left. K was up before ten stopped and it was ruled a ko. fight off probably due the late start that was due to the fact that the officials got lost (!) on the way to the venue. WIBA, GBU and WBC Int´l Silver titles. Bruzzese won the vacant Italian cruiser title. WBC CISBB Silver (!) middleweight title - scored 99-93, 98-93 and 98-92. Signani regained the Italian middleweight title on scores of 97-89, 97-92 and 95-94, Loriga was down in the tenth. 78-73 on all cards. Malinovsky was down in the first of this all southpaw clash.